Positive Behavior Interventions and Supports (PBIS) is the framework for teaching expected social and behavioral skills school-wide. Families have a profound impact on the academic, social-emotional and behavioral development of their children. Successful PBIS implementation needs to be a partnership between home and school. 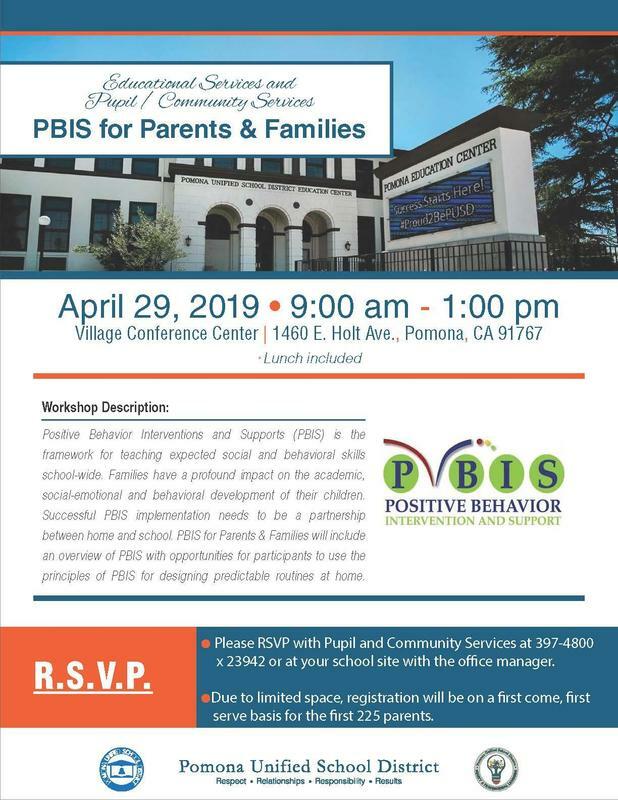 PBIS for Parents & Families will include an overview of PBIS with opportunities for participants to use the principles of PBIS for designing predictable routines at home. Due to limited space, registration will be on a first come, first serve basis for the first 225 parents.